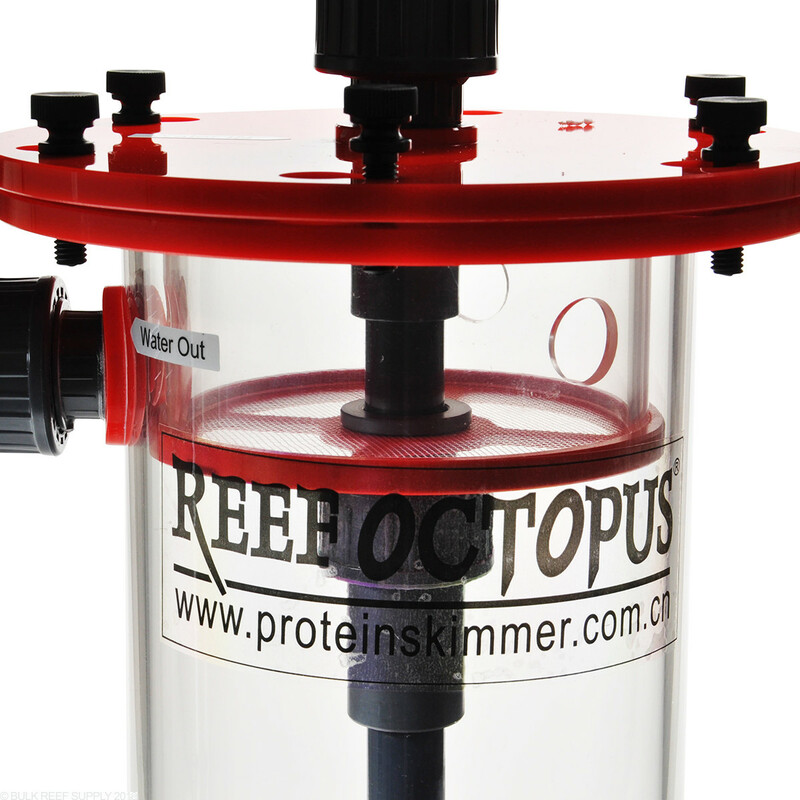 The Reef Octopus Biopellet Reactor is designed specifically for the use of solid carbon dosing biopellets. 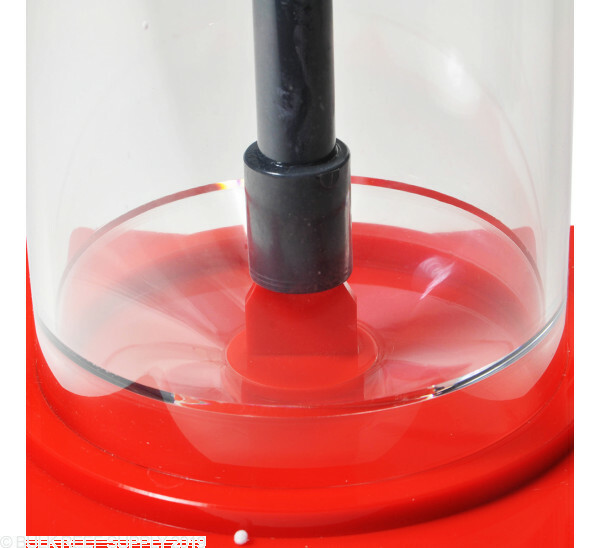 Cone bottom design helps to keep the biopellet media in suspension and evenly dispersed. Reactor lids close with fastening screws and a mesh screen contains biopellets while still allowing flow. Available in three sizes. 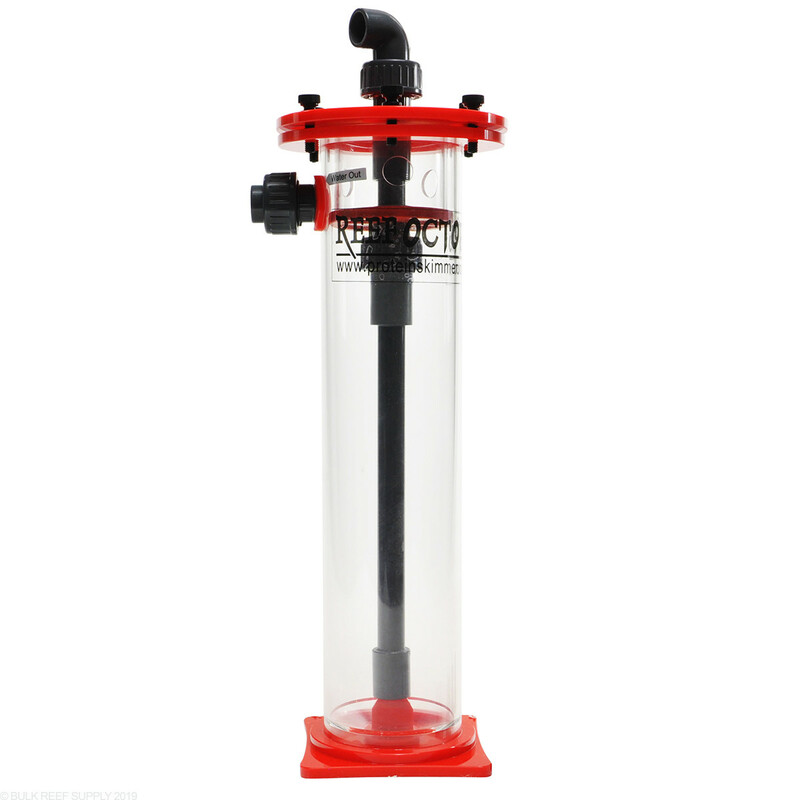 These Revolutionary Media Reactors have a fluidizing cone bottom design to help keep the bio pellet media in suspension and evenly disperse the water upwards, without restricting the flow through the unit. 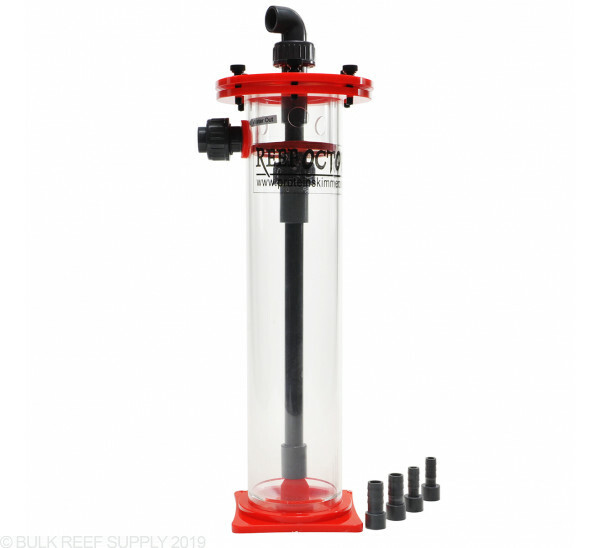 These advanced reactor units also includes fastening screws on the lid for a sure tight seal and a mesh screen to keep the bio pellets within the reactor without the risk of restricting flow or clogging like other media reactors on the market. Went from a TLF reactor which constantly clogged up to this reactor which circulates the pellets incredibly well. I made the mistake of using a Syncra 3.0 on the reactor, which is too powerful for a reactor made to work this efficiently. The pellets were already colonized, as I just transferred them from the old reactor, and my PO4 went from 0.12 to undetectable within a week, nitrates dropped from 10 to 5 and tank water cleared even more, glass also cleaner. Now I realize why the people who I spoke to about biopellet use told me to try them; this reactor is a beautiful yet simple piece of engineering that works exactly as designed, and I guarantee that it will exceed expectations. First off a little background. I run a 80 gallon rimless reef tank. Refugium, Skimz skimmer, AI Vega led lighting. I have had some issues with hair algea. I know from being in the hobby for so long that this is caused by excess nutrients. I ended up vodka dosing and first running a brs reactor with about 400 ml of bio-pellets. I noticed this was helping kill off the hair algea. So I decided to take the plunge and purchase the 110 model and load it with 1000 ml of bio-pellets. Well after running for about a month now all and I do mean all the hair algea was gone!!! This 110 is awesome! I run a mag 7 pump on it and has an adequate flow rate. The pellets tumble much better in this reactor than the brs one. It was very easy to setup. I would suggest if using new bio-pellets that you soak them for 24-48 hours before using. 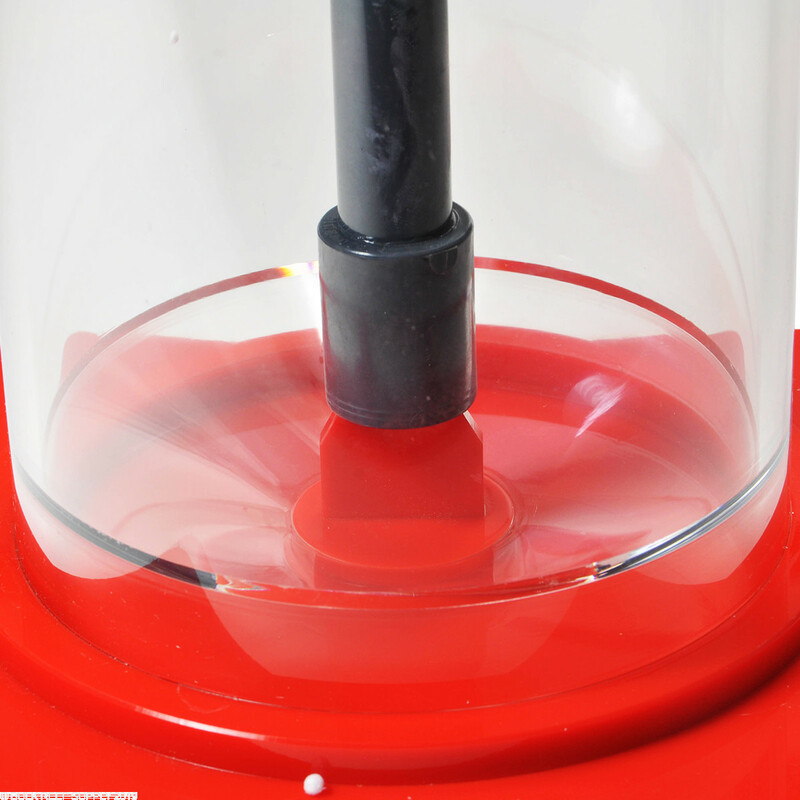 It just helps to keep pellets in the main tumble area than rising to the top and piling up on the plastic ring that keeps pellets from escaping! I have used many reactors over the years and I honestly feel as though the quality can not be beat and is worth the extra cost compared to the rest. Hope this helps in your decision making! Happy reefing! 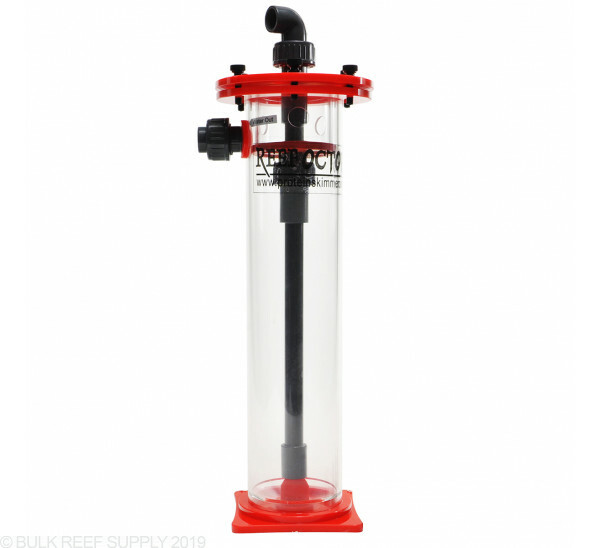 I have the BR-110 & i like the cone shape bottom which helps churn the pellets and helps the water flow easier. Its easy to disassemble for adding bio pellets & cleaning. Previous review written at 7 weeks of reactor operation yielded negligible nitrate reduction with 3- 5 PPM measurable nitrate in 300 gal. total volume reef system, (Tank 3 yrs old). Measures taken in week 18 revealed no detectable nitrates. All other feeding, water changes, and tank inhabitants have not changed. My assumption is that this system needs at least 3 months of biological maturation to achieve. Algal growths diminished appreciably. I am a big advocate of this system for nitrate control, but patience is necessary. This reactor was simple to setup. The pellet churned rapidly when first set up. Flow appeared to only come out one side of the nozzle. After 5 months of operation, the pellets have stopped moving. I have been using a 720 g/h pump since the start. I changed pumps thinking it was the pump. No deal. I pull the in put tube from the unit and made sure it was clear. I stirred the pellets to make sure they were not clumped. They were not. It appears to be an issue with the reactor. Getting this unit back together after servicing was a bear. You have to push the supply tube down through the pellets. I would definitely go with a bigger pump. The functionality of this unit is exactly as advertised. Set -up is simple. I would certainly advocate for a 900 gal. or more pump with throttle valving. The bioballs tumble nicely making a soft hissing sound. I have been running this unit for 7 weeks now on a 230 gal reef and have not measured any significant drop in nitrate, (3-4 ppm). Higher nitrate laden systems may see a more tangible drop, but for reef tanks, I'm not sure this is the answer for a negligible total nitrate goal. The build and mechanical workings however are well made and perform as advertised. Unit does exactly what is it supposed to do, is easy to install, and easy to maintain. 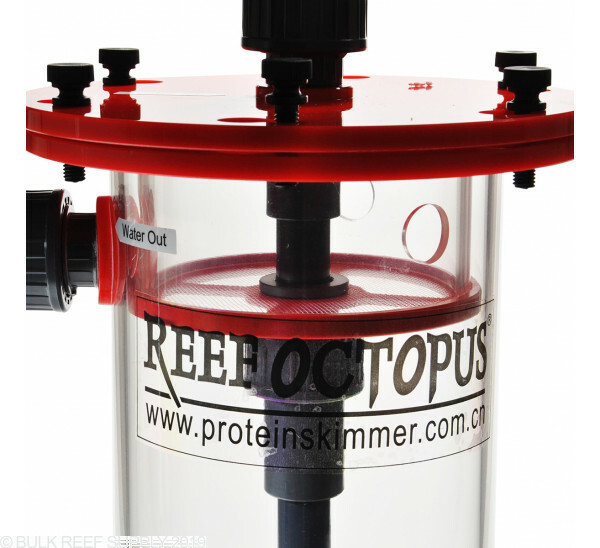 I have so far been impressed with the Reef Octopus line of products (also have a protein skimmer) - with the exception of the quality of the documentation (minimal to non-existent). In this case, that was not an issue as there is very little to document. Connect the inbound hose from the pump, the outbound hose, load media, turn on, and adjust flow - then leave it alone. Strongly suggest a flow control valve between pump and unit to allow tuning of flow for optimal "churn." 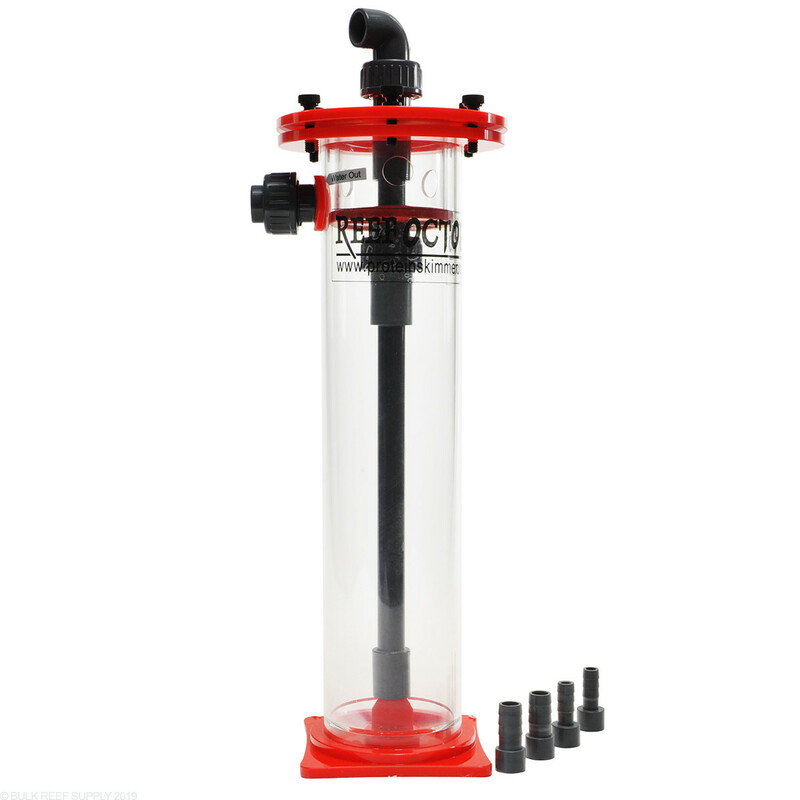 Really the only product suggestion I would have is to add an integral flow valve on the unit - similar to the Vertex media reactors. I just got this reactor and it feels very sturdy. The check valve is also great because this way the biopellets can't get siphoned out of the reactor. Overall I am very happy. After purchasing this to replace my "old" reactor, that I had to take apart about once a week to clean this is a dream. Never gets clogged and is a snap to disassemble to clean. Couldn't be happier. Can I run GFO in this?